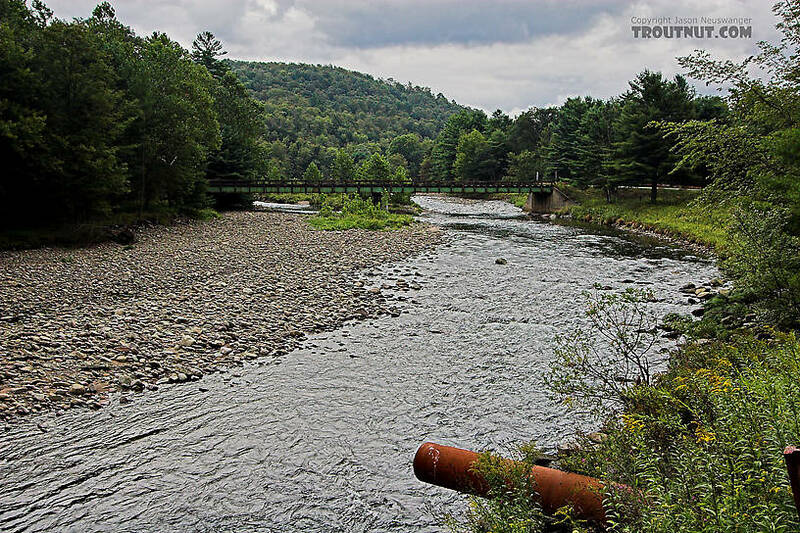 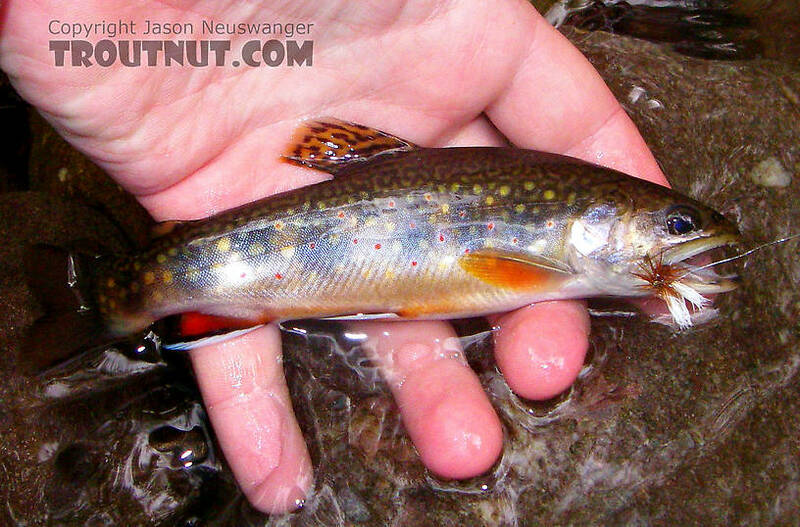 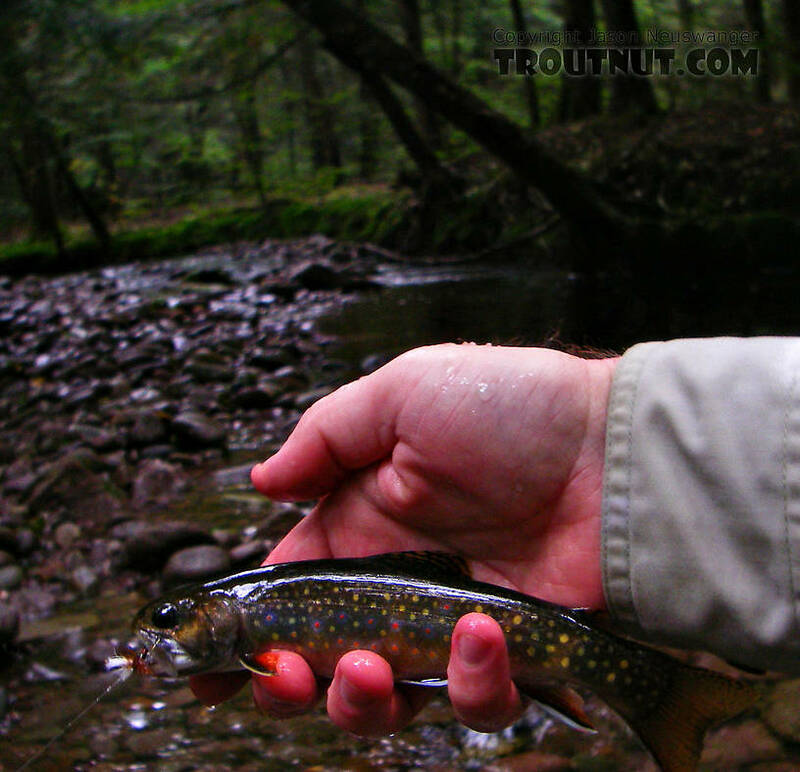 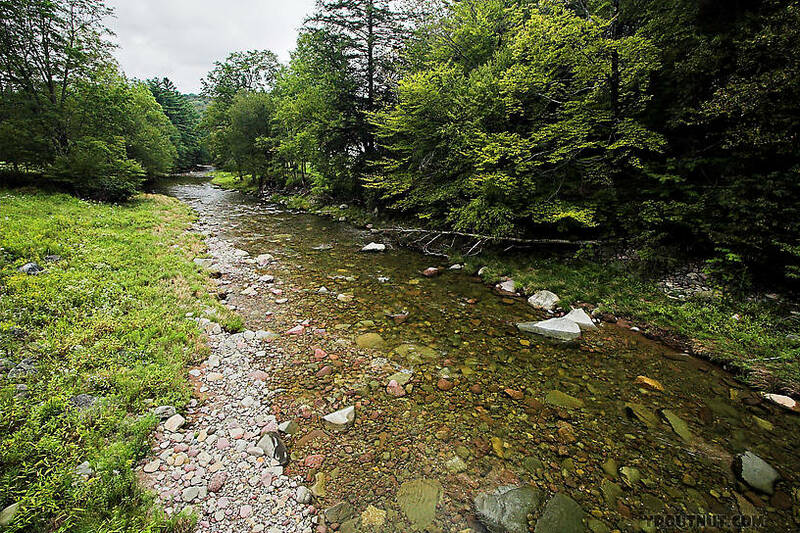 This beautiful brookie comes from a very remote, crystal-clear small stream in the Catskills. 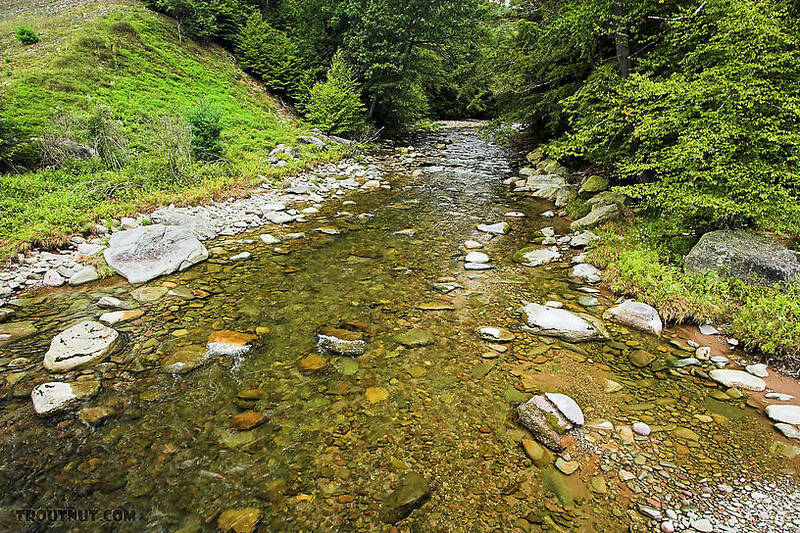 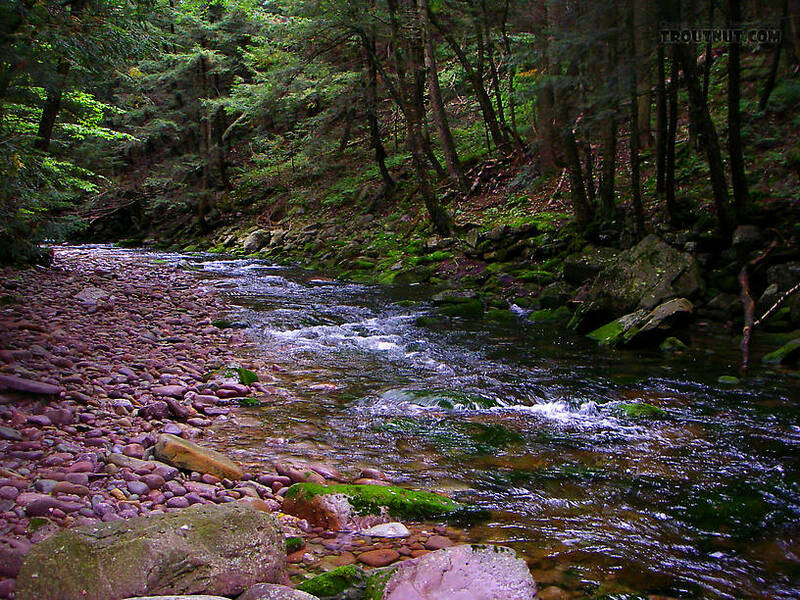 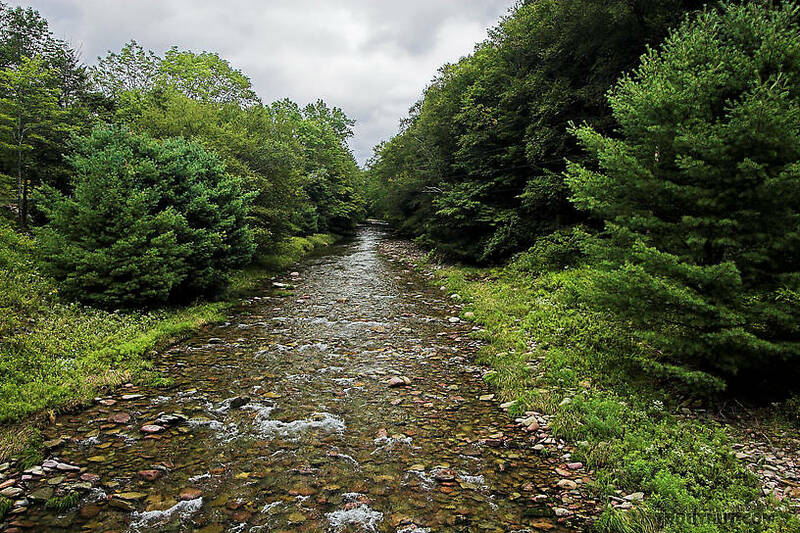 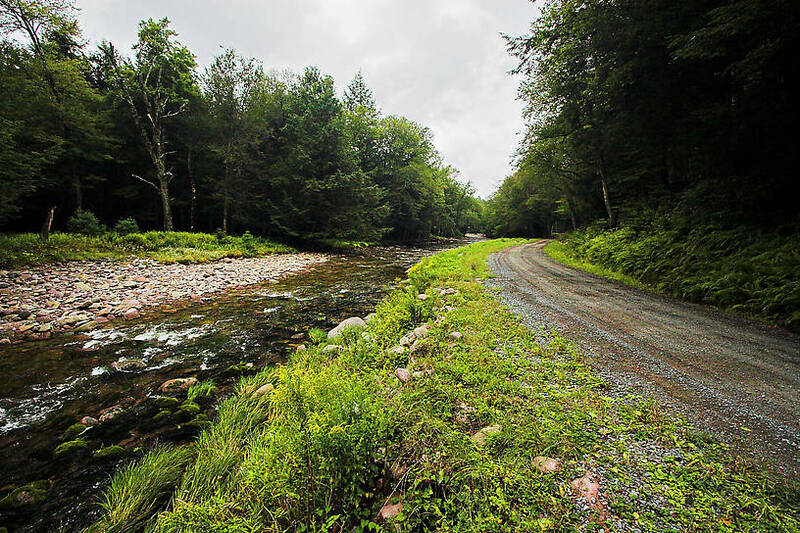 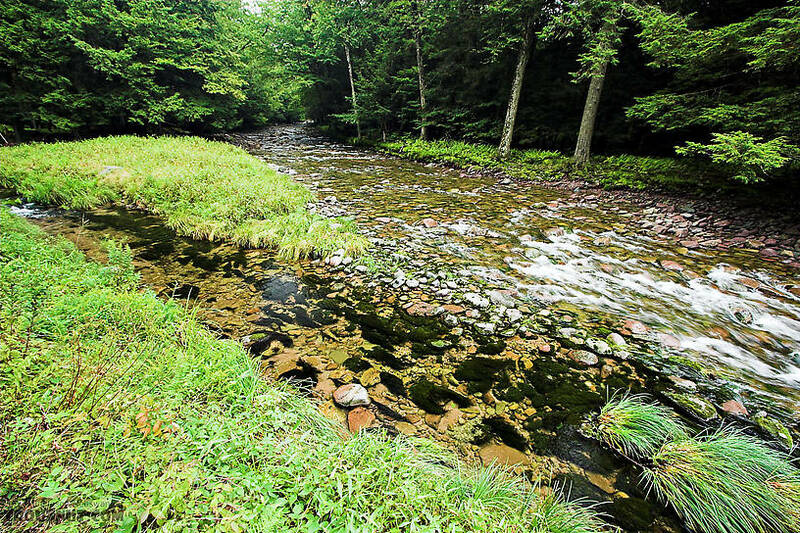 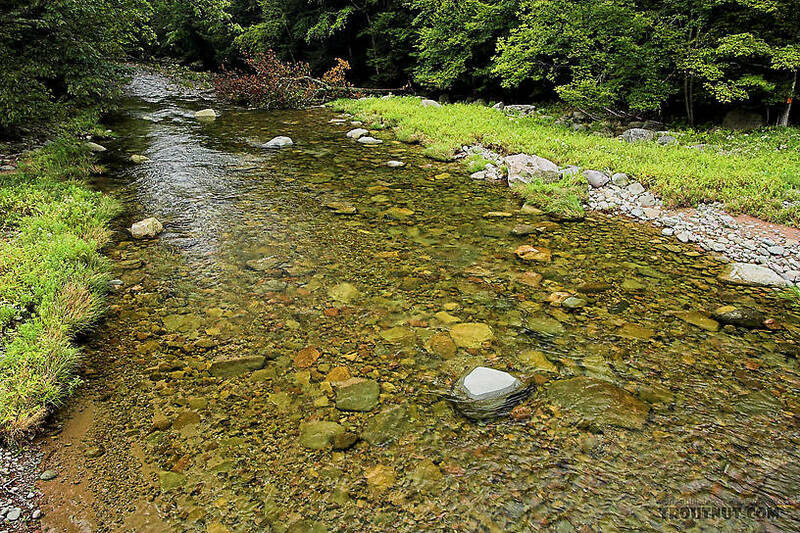 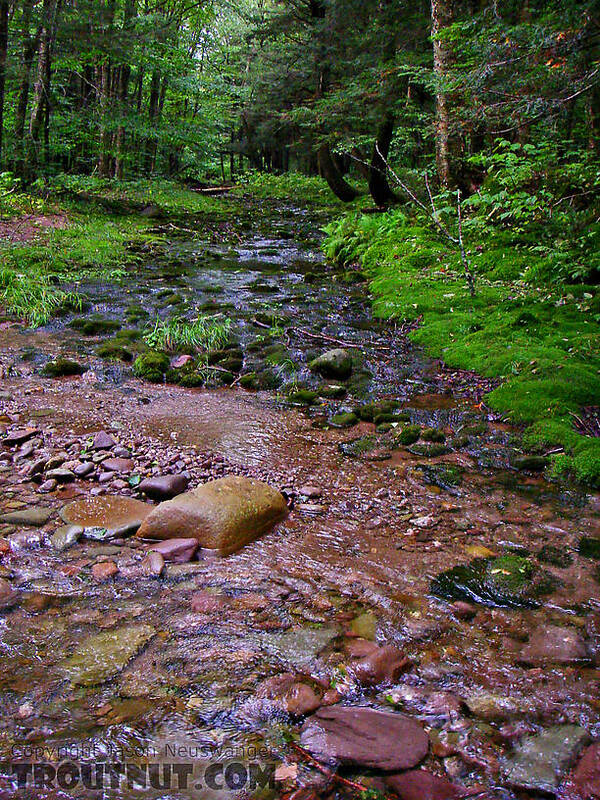 The clear little stream I was fishing is fed by a tiny tributary running across a beautiful bed of nothing but moss. 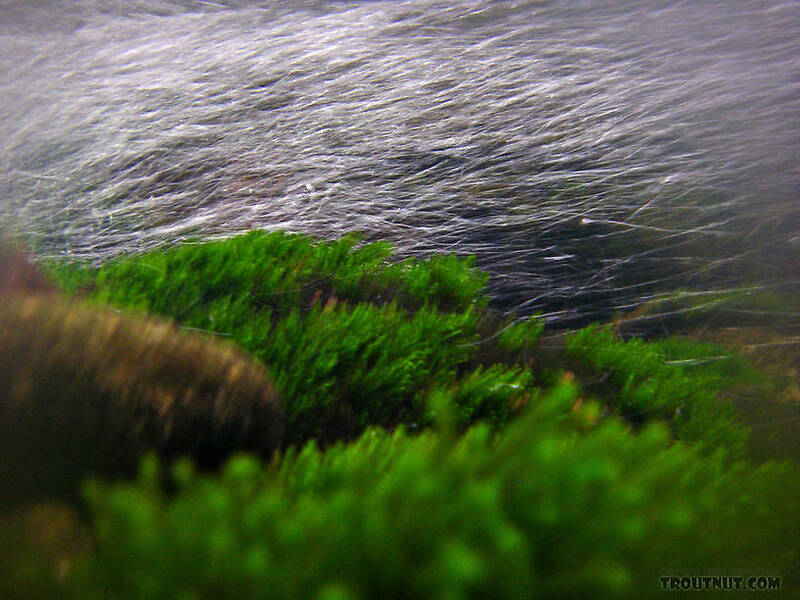 Underwater moss and riffle bubbles. 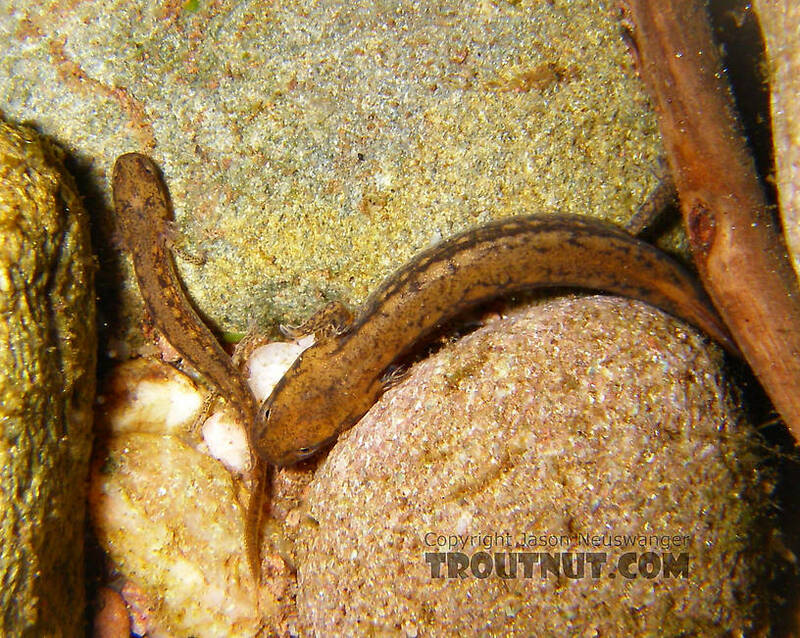 In this picture: Amphibian Order Caudata (Salamanders). 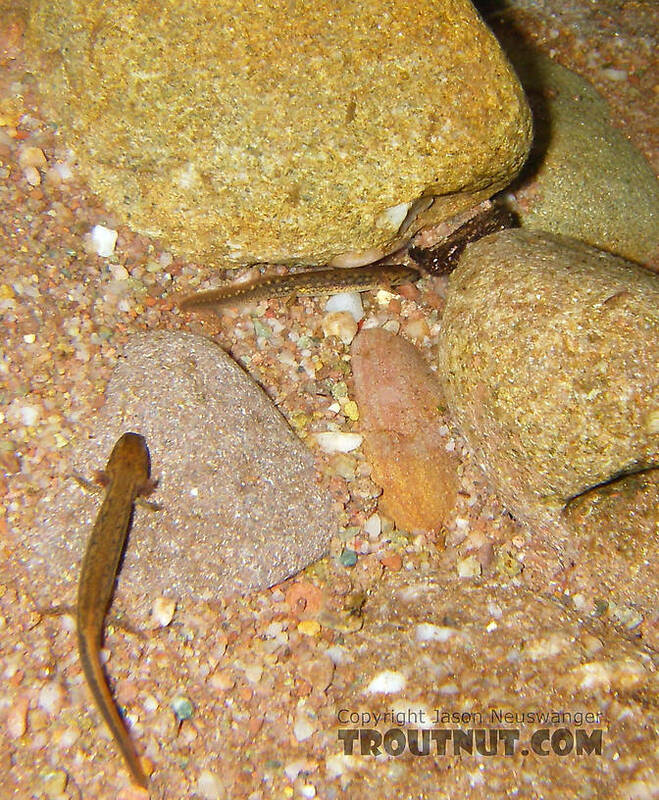 I got a nice picture of the pool these salamander larvae inhabit a few weeks later. 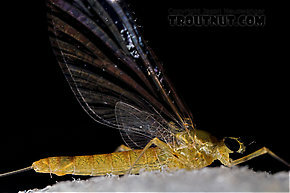 Male Epeorus frisoni Mayfly Dun View 9 PicturesI collected this male dun together with a female spinner, a female dun, and another male dun. 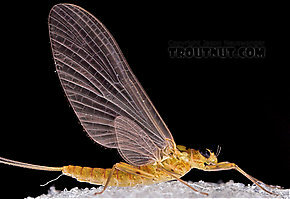 Female Epeorus frisoni Mayfly Spinner View 8 PicturesI collected this female spinner together with a male dun, a female dun, and another male dun. 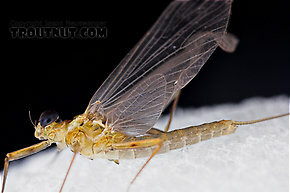 Female Epeorus frisoni Mayfly Dun View 7 PicturesI collected this female dun together with a female spinner, a male dun, and a larger, damaged male dun. 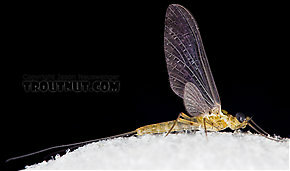 Male Epeorus frisoni Mayfly Dun View 2 PicturesI collected this male dun together with a female spinner, a female dun, and another male dun. 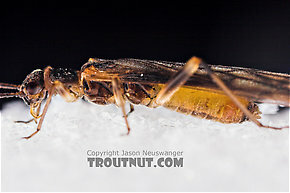 I photographed this bedraggled one, larger than the other male, to show some of the greatest size variation within the species.